Life Lessons From Barack Obama: What Can We All Learn? Barack Obama was not just a leader; he was an iconic institution that inspired a generation of people in the U.S. and around the world. As President, he was a lot more than just being the first man of color to hold the office. There was so much for all of us to learn from this man. In this article, we will focus on some of the life lessons from Barack Obama, and what we can learn from them to take forward in our daily lives. Sure, some of them might be obvious, but little reminders never hurt and we’d like to help do some reminding now. This is perhaps one of the most important lessons we all can learn from Barack Obama. No matter how busy he was, he always had time for family. 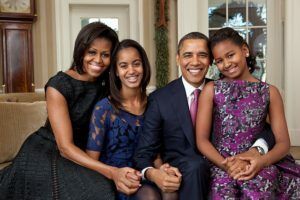 We are all familiar with Michelle, Sasha, and Malia and how Barack was often seen spending time with them. Be it going to church together or attending football games, we often saw that the former president was never seen running short of time for family. After all, it is our family that makes us who we are today. Just like every world leader, Barack was known as an avid reader. He was often claimed to be a voracious consumer of news. And by reading we are talking about not just newspapers. We’re talking about books as well. Some of the names worth mentioning here include – Song of Solomon by Toni Morrison, Gilead by Marilynn Robinson and Parting the Waters: America in the King Year by Taylor Branch were some of his favorites. 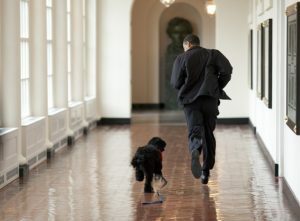 Some of the many iconic moments that we got to enjoy from Barak Obama’s presidency were is enjoyment of playtime. Sure, maybe photo ops played a role in getting out there to play with Bo, the family dog, or to appear on the Ellen show. The thing is, one could really pick up that he was enjoying himself and the playful interactions he was having. After all, there’s no need to be continuously combative. Making time for play is one of the healthiest things a person could do, and Barak Obama was fully (and obviously) aware of that. Being a leader is difficult, especially in a world where there are so many different opinions about how to govern, and lead, in a global society. 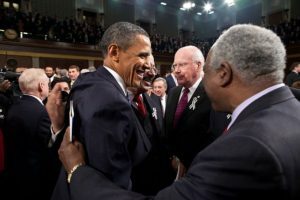 Barack Obama was respected, appreciated and by extension popular by so many people in this country and around the world. Not only did the above reasons play a role in this, but so did his never ending commitment to be respectful, and respectable, at all times. Did he ever lash out publicly, diminish or denigrate his counterparts if he was frustrated? No. He knew the value of being respectful and respectable. So, this was just a small list of lessons that Barack Obama has inspired us all to learn in life. Pay heed to following these lessons and see how they can bring increased happiness almost immediately. If and when they do, then don’t forget to share your experience with us. Oh, and make sure to inspire other people with these life lessons as well. The world would be a better place indeed.